I’ve sketched Courtney Barnett a couple of times in Birmingham over the years 2015 / 2014. 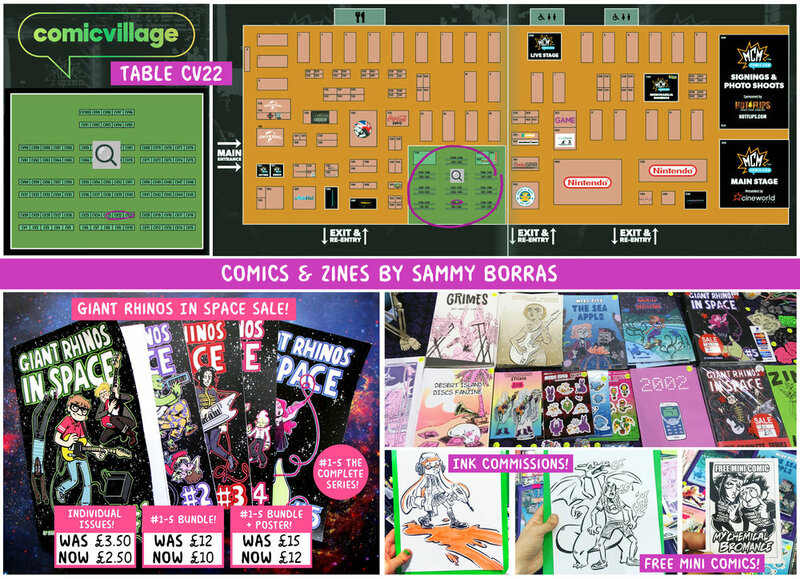 I’m taking comics and music zines to Birmingham MCM Comic Con this weekend. I’m super excited for all the extra Nintendo stuff at this show! I’ll be offering ink portraits and handing out the usual free mini comics! You can find table CV22 in the Comic Village section of the show.